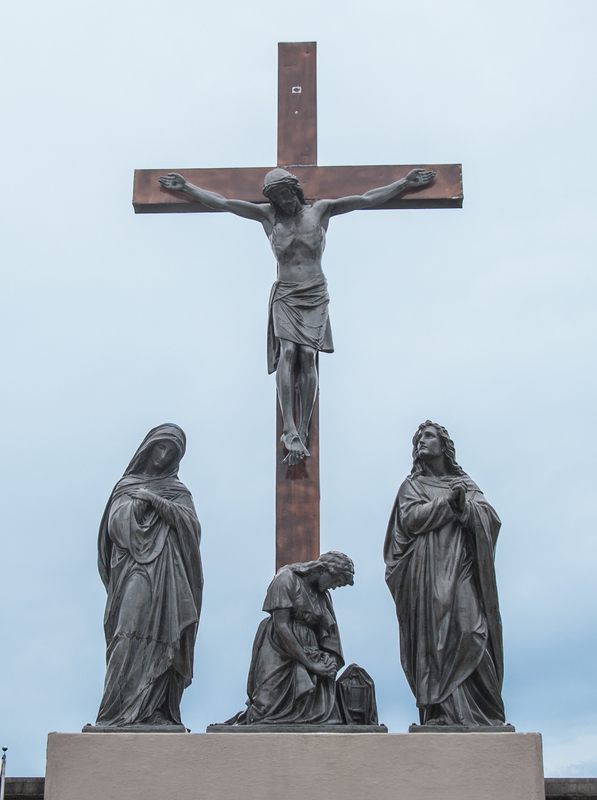 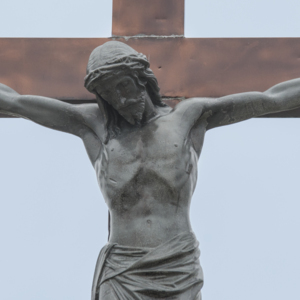 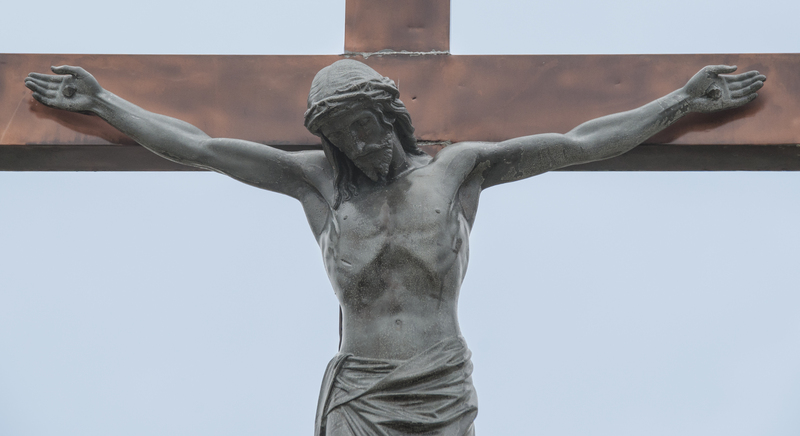 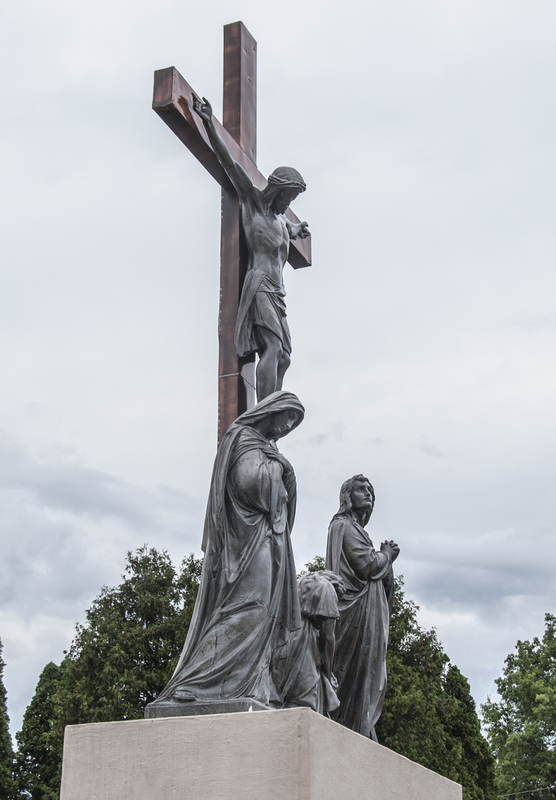 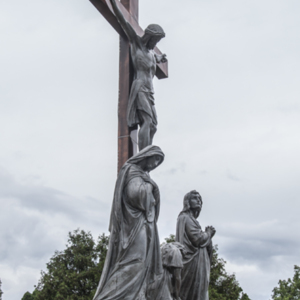 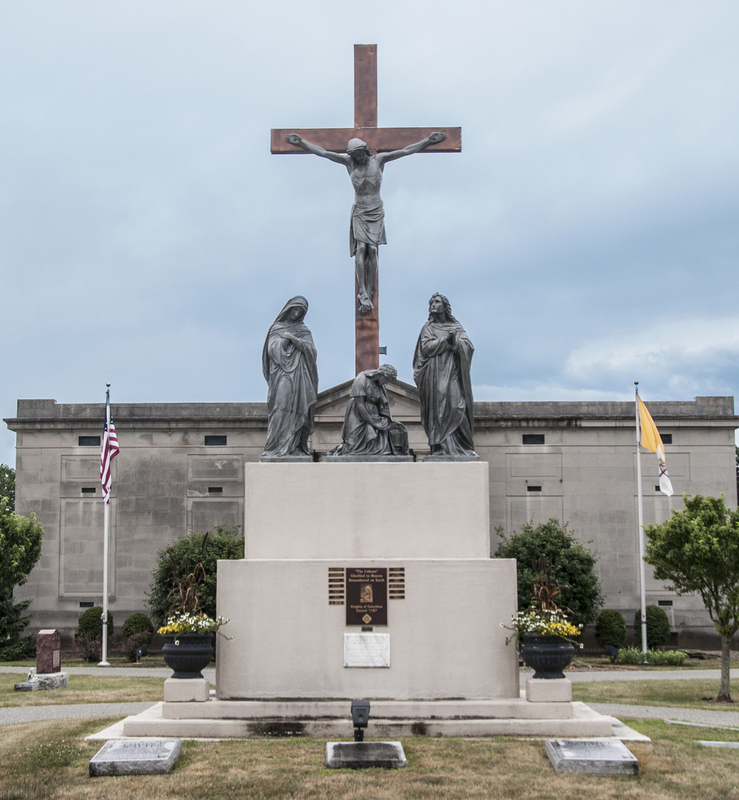 This giant monument features a religious scene of the crucifixion of Jesus Christ. 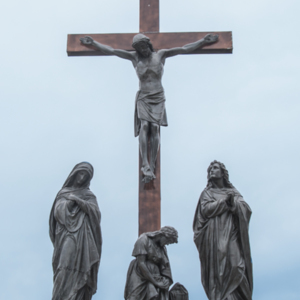 Jesus is nailed to the cross in the middle with Salome on her knees at the base looking mournfully at a covered lantern. 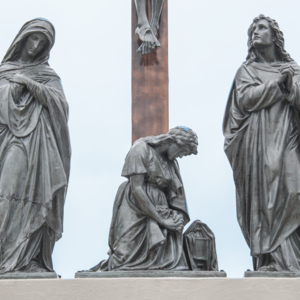 They are flanked by Mary Magdalene to his left (our right) and Mary of Nazareth, or the Virgin Mary, to his right (our left.) 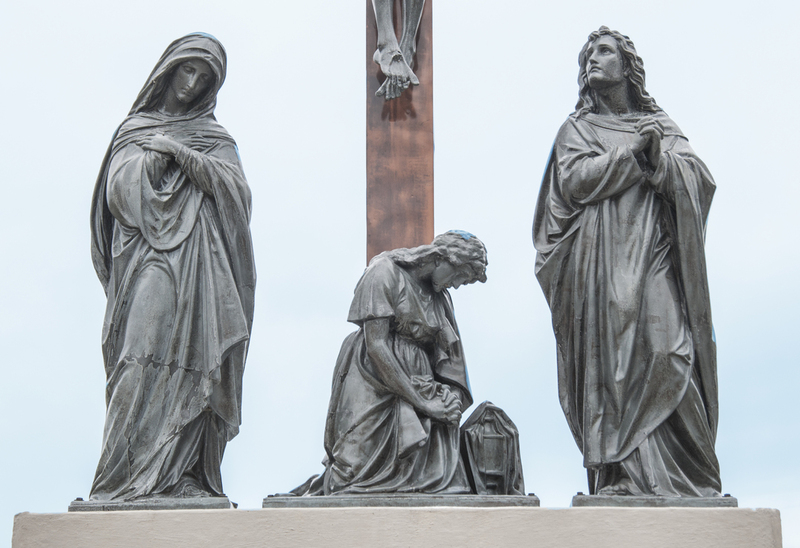 The monument was erected to memorialize the unfortunate children who were never born. 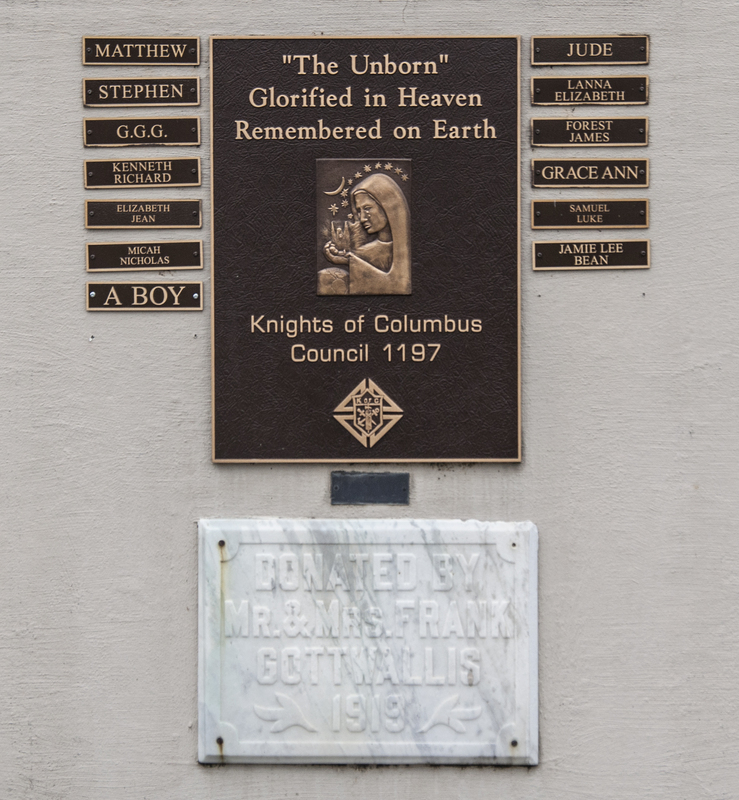 There are several plaques on the front of the base. 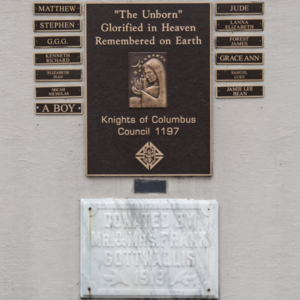 : “Unborn Children Monument,” Ohio Outdoor Sculpture Inventory, accessed April 18, 2019, http://oosi.sculpturecenter.org/items/show/1552.